The recipe I used required 2 cups each of cream and milk and 10 egg yolks. I found that my ice cream maker was unable to completely chill that large a batch. I also realized that even though I love that recipe, the amount of egg yolk almost made it too rich, if that is possible. So the recipe listed above has some adjustments. First step involves separating the egg yolks and whites. Store the egg whites in the fridge for up to 2 days to use in another recipe, such as meringues, or make some more marshmallow fluff. 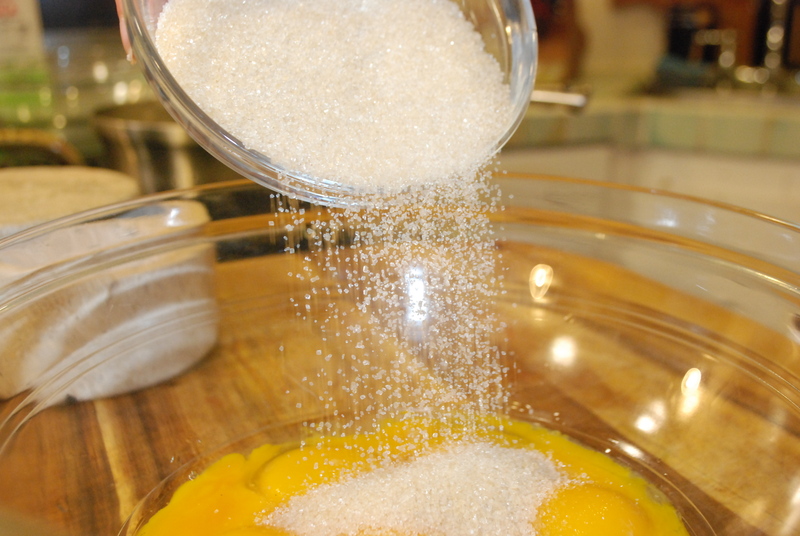 Whisk together egg yolks, sugar and the small pinch of salt. Set aside. To scald the cream and milk, heat to 185 degrees, stir along the bottom of the pan to make sure the milk and cream are not burning to the bottom. This should only take a few minutes. It is worth it for you to keep a close eye for those few minutes rather than scorching your milk. I’ve done it and the milk that didn’t burn to the bottom of the pan could still have a burnt flavor or aroma. 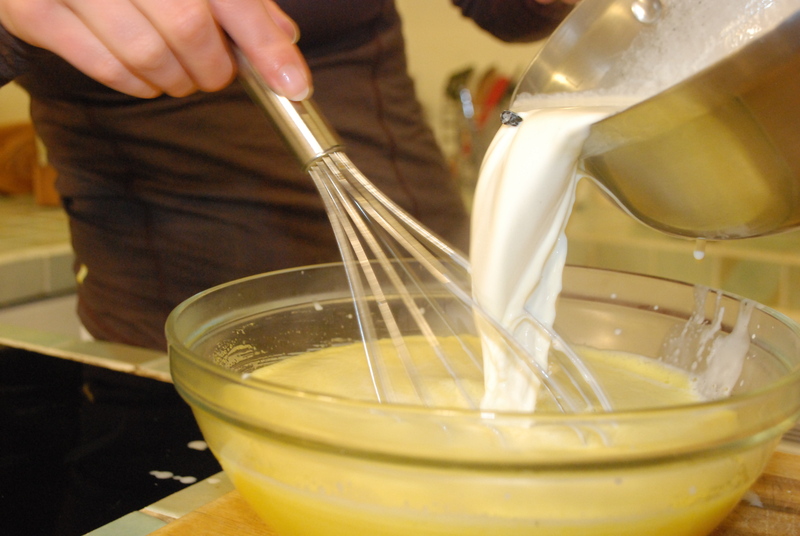 Slowly add the scalded cream and milk to your egg yolk mixture, stirring while you incorporate the two. 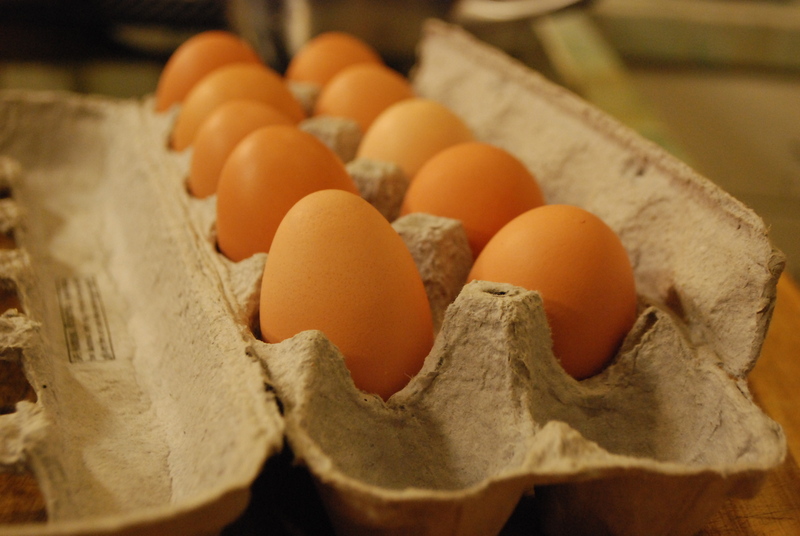 This process is called tempering, basically meaning that you are getting the eggs used to a warmer temperature. 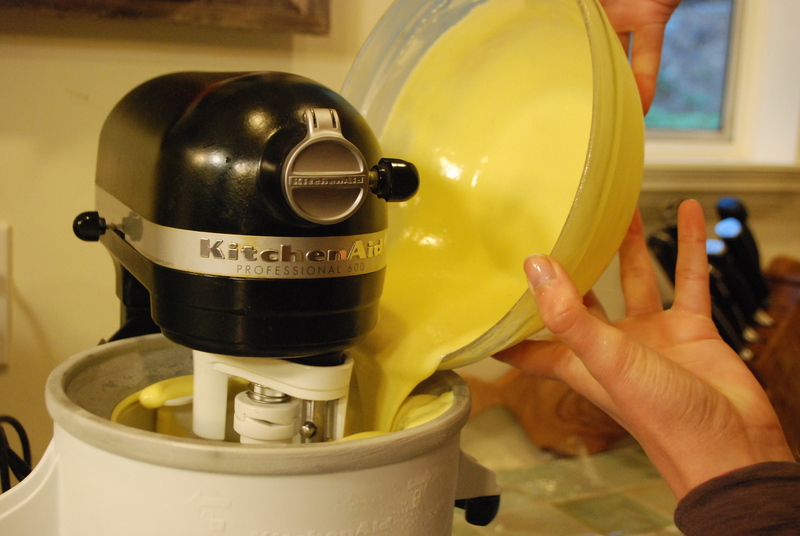 Place your bowl of egg yolk, sugar, cream and milk over a double boiler. Any pot that will allow your bowl to sit in comfortably, with an inch or two of boiling water will do. 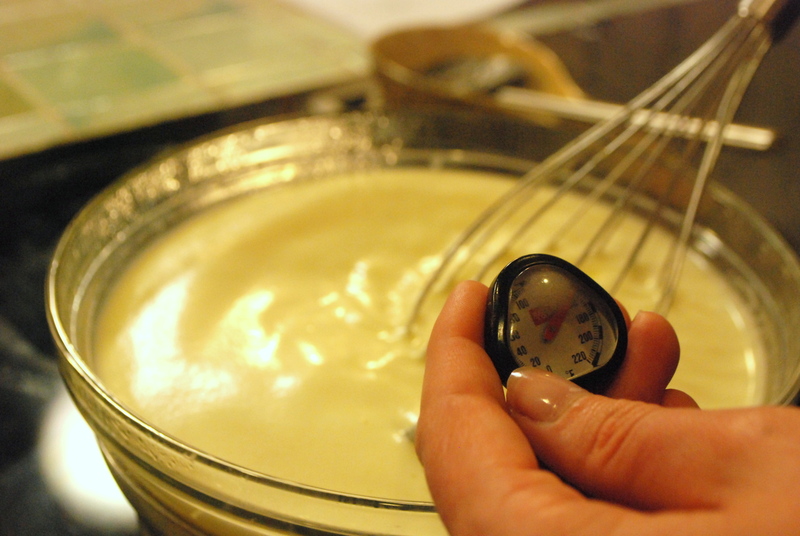 Whisk continuously, especially around the sides of your bowl, to keep the entire mixture at an even temperature. 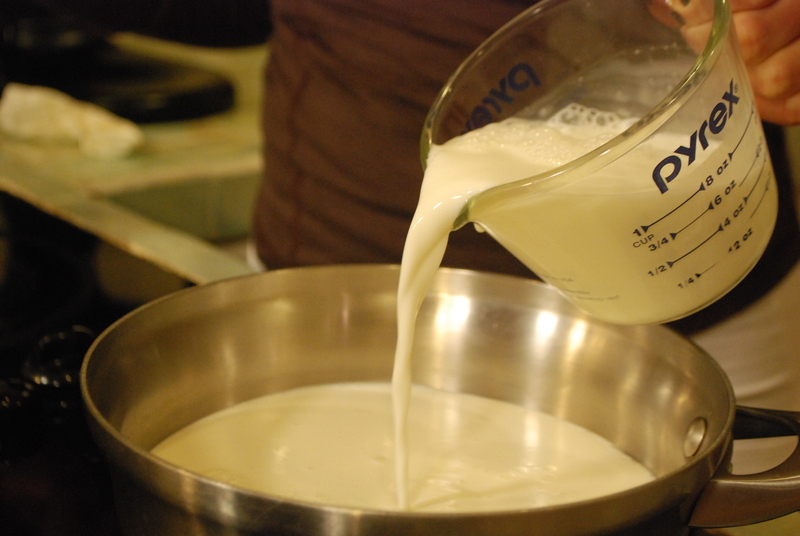 This is done when it has thickened, approximately to the consistency of heavy cream and reaches 170 degrees. Now you’ve got a lovely creme anglaise! Once your creme angliase has reached 170 degrees, immediately pour through a sieve or fine mesh strainer into a bowl that is sitting in an ice bath. To make an ice bath, use a slightly larger bowl with some ice and water in it. 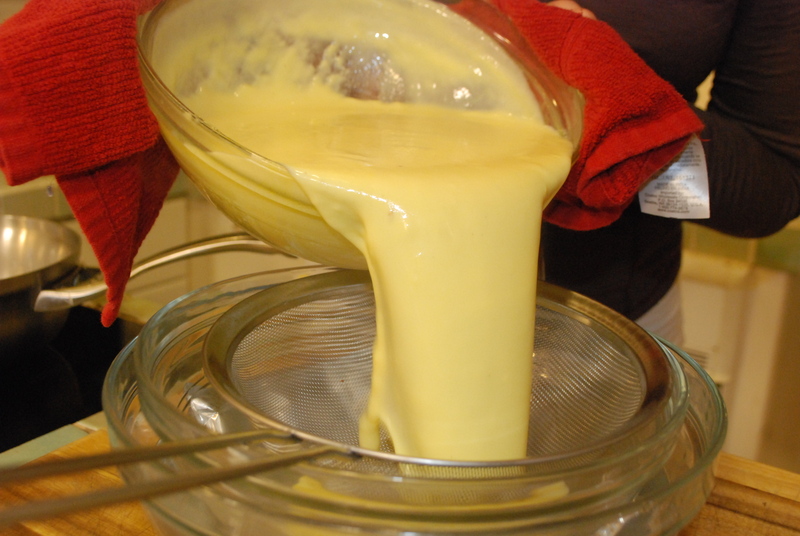 This process will help to cool your creme anglaise more rapidly. 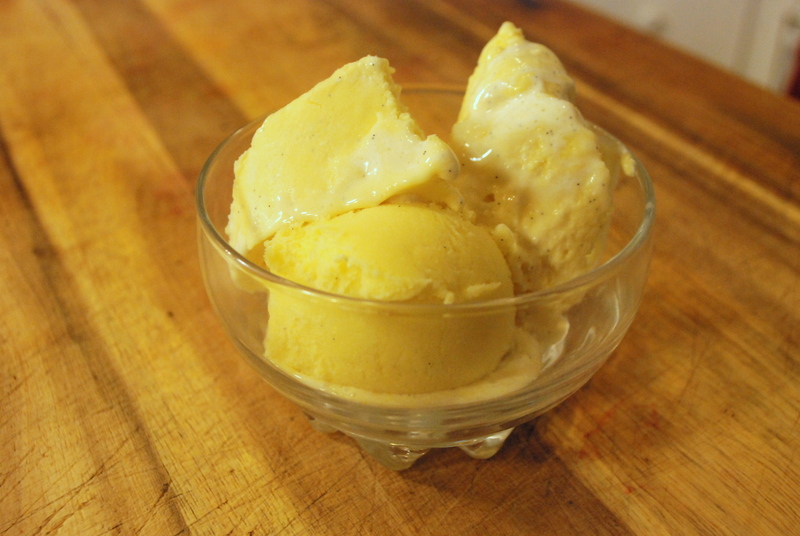 Once completely cool, add to your ice cream maker and mix on stir until it is to about a soft serve consistency. At the very end, pour in your marshmallow fluff. If you would prefer a basic vanilla ice cream, just add 1 tsp of vanilla, rather than the marshmallow fluff. Serve on its own or topped with some chocolate and graham crackers for a s’mores experience!